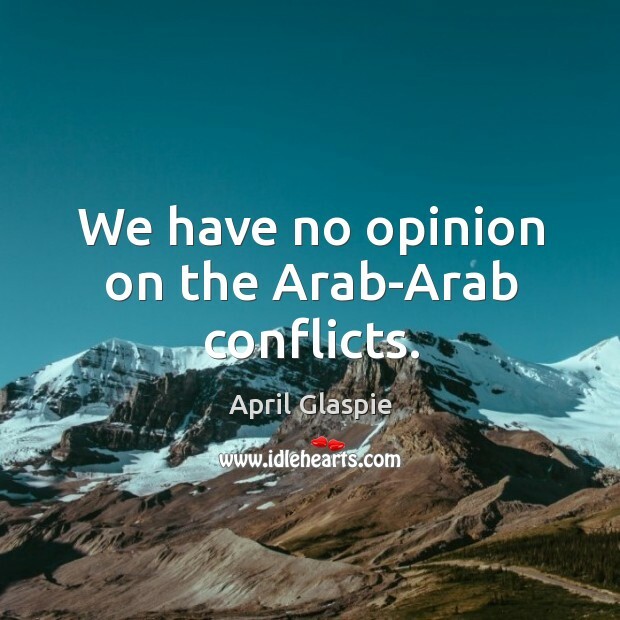 Enjoy the best inspirational, motivational, positive, funny and famous quotes by April Glaspie. Use words and picture quotations to push forward and inspire you keep going in life! 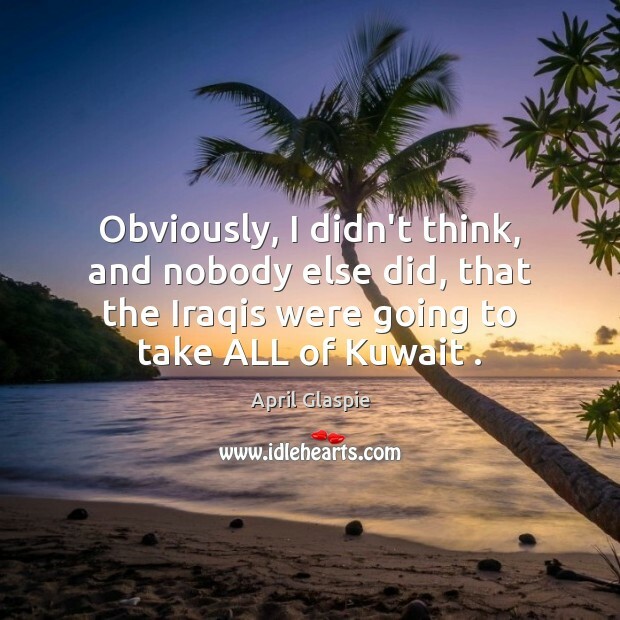 Obviously, I didn't think, and nobody else did, that the Iraqis were going to take ALL of Kuwait . President Bush is an intelligent man. 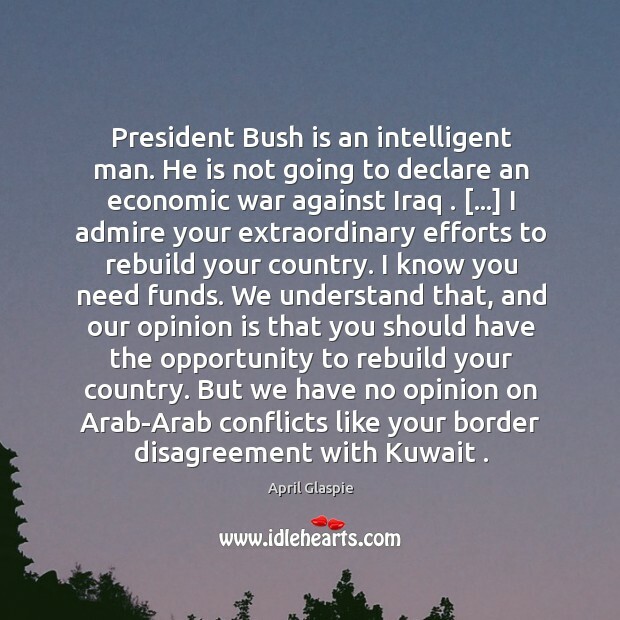 He is not going to declare an economic war against Iraq . [...] I admire your extraordinary efforts to rebuild your country. I know you need funds. We understand that, and our opinion is that you should have the opportunity to rebuild your country. But we have no opinion on Arab-Arab conflicts like your border disagreement with Kuwait . 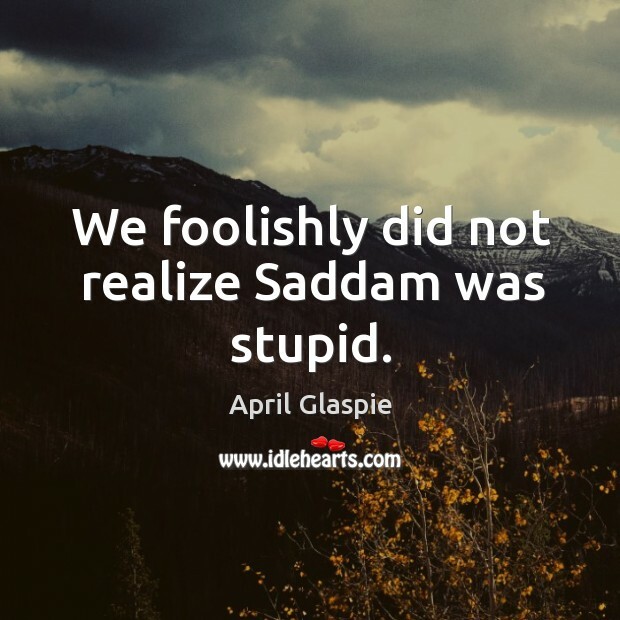 We foolishly did not realize Saddam was stupid.